Home > Blog > Environment > Why jute? Isn’t it a hessian bag? Why jute? Isn’t it a hessian bag? Wondering what jute is? You’re in the right place! On a day to day basis we have customers coming to us looking for hessian bags and they don’t really understand what jute is. Globally a lot of different terms are used to describe the fabric manufactured from the jute plant. Let’s clear up the confusion and look at what exactly jute, hessian and to throw another term into the mix burlap is. Before these fabrics became popular in the bag industry, they were used to create all sorts of different products, from carpet backing to soldiers uniforms! Hessian is the popular term for jute fabric throughout mainland Europe and Australia. Surprisingly the word originates from a group of German soldiers in the state of Hesse. They famously wore a uniform constructed from natural hessian and as a result became know as ‘hessians’ (source: wikipedia.org). The fabric itself is made from natural fibres found in the skin of the jute plant. Hessian is mainly used to make sacks, rope and other rustic products. Burlap is the same natural fabric as hessian, but the term is more commonly used across the atlantic in America and Canada. The origin of the word ‘burlap’ is still unknown, but it does date back to the 17th century were it was derived from the Middle English word ‘borel’ meaning coarse cloth. The term jute orginated from the word ‘jhuta or jora’ from the Oriya language. Oriya is an old Indian language that is now only spoken by only 4.2% of the Indian population. When Britain colonised India the term stuck and it is now used through out Great Britain and its colonies. 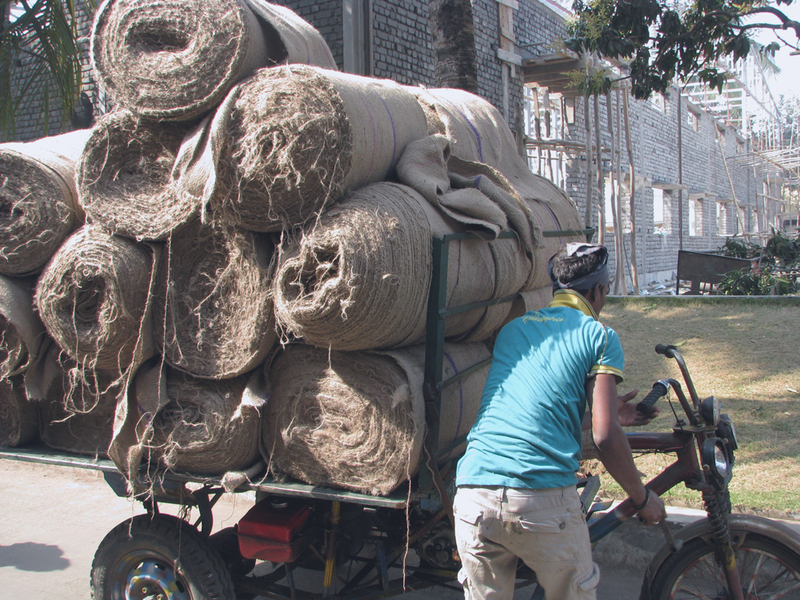 India is the world’s largest producer of jute and it is where all our GoJute bags start out. Jute is a more refined version of the typical hessian fabric, it offers a higher quality product and a softer finish. This makes jute the perfect material for producing our natural bags. So all three terms originate from the same material and are constructed from fibres found in the skin of the jute plant. Hessian and burlap are the terms used for a more rustic and coarse fabric, whereas jute is the most refined and high quality version. This is why jute is more commonly used to produce natural bags, despite the fact hessian seems to be the most popular word on the street. So all those hessian bags you’ve collected on the back of your door are more likely to have a jute origin! Heard enough about Jute? why not take a look at our bag range and get in touch to see how jute can help grow your brand!